What happens after the "I do" moment? Your big, not at all fat, luxury Greek wedding! Your heart beats faster, as you start packing for your trip. Your best friends are waiting for you in the taxi; you’re late for the airport. The party starts the moment you land in Greece. Our concierge meets you and your group at the airport. 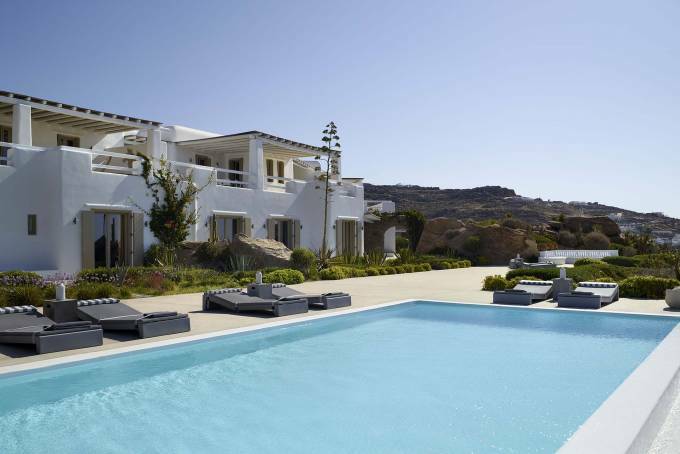 We transfer you to your villas where your favourite champagne awaits you, chilled to the perfect temperature. A little bit of sightseeing, a little bit of shopping, a visit to a famous beach, and the rest of the day yachting! 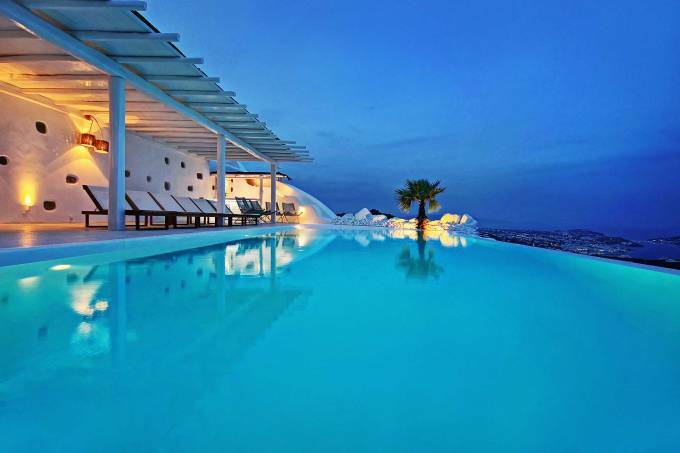 Kiss your significant other goodbye on your last night as single, and head to Mykonos town to celebrate. 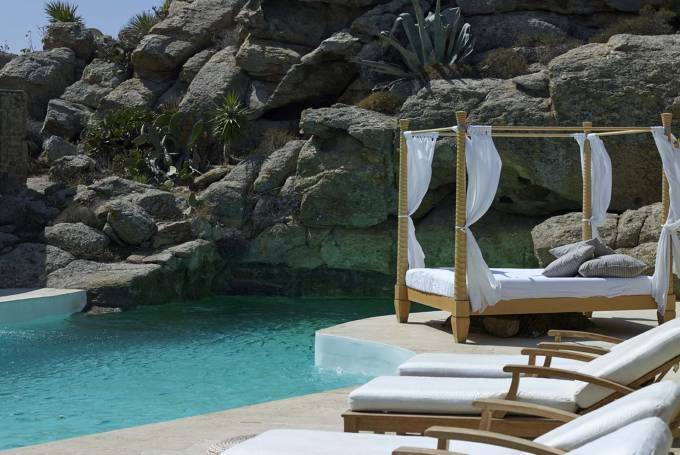 Next morning our chef will prepare you a healthy detox breakfast while you laze by the infinity pool, soaking up the Aegean Sea views, the light breeze that ruffles your hair… A total body care massage and then the final touches, before you get dressed in your special dress. 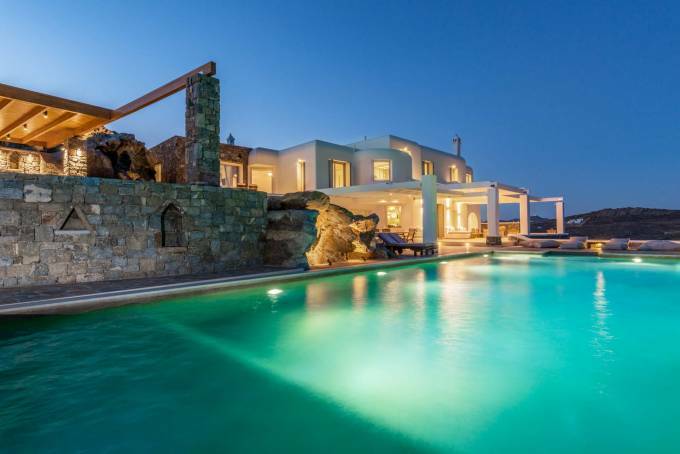 This a BlueVillas dream destination wedding in Mykonos coming true. Suddenly you feel nervous, but you can’t stop smiling. It is time to exchange love vows at the most romantic hour of the day. The sun melts into the sea as you are pronounced married, and you and your guests cannot hold back tears of joy. Your once upon a time fairy tale moment is here and now. All to do now is live happily ever after! Let the Blue Villas team work their magic and help you organize the wedding of your dreams, effortlessly. 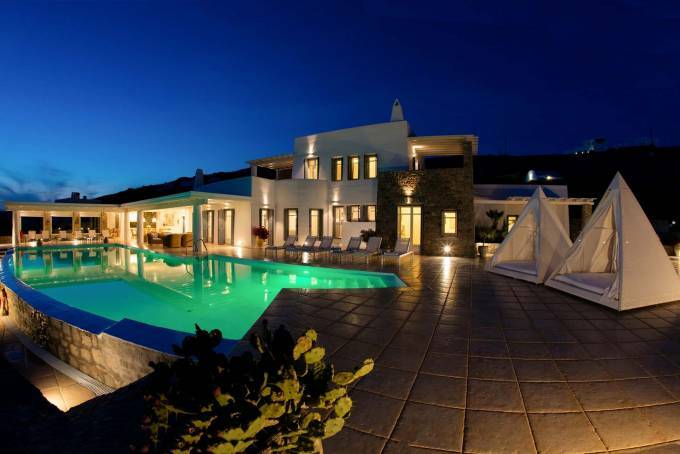 Simply chose the luxury Mykonos villa of your dreams and leave everything else to us. Get ready for an unforgettable wedding ceremony & reception, as well as a luxury honeymoon. 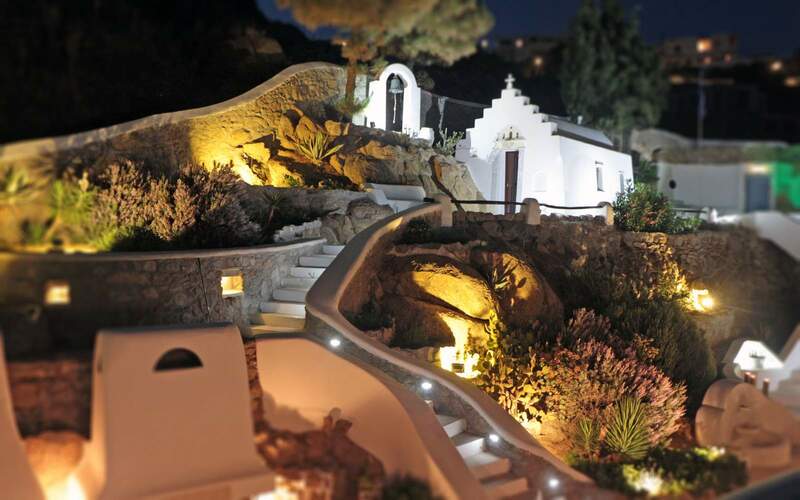 Idyllic locations, stunning views, white-washed private chapels, privacy, elegance, fine cuisine and bespoke services will make your wedding a one-of-a-kind event. Our professional team of wedding planners, decorators and consultants will help you create the atmosphere you want with the right decor, wedding cake, flowers, wedding favors and other personal touches, while we’ll help arrange makeup, hairstyling and photography to capture those precious moments. Tailor- made planning is our second name! You have the choice of opting for a ceremony accompanied with a drink and finger food for your guests, or a full blown post-ceremony formal reception. A villa wedding or vow-renewal can be as private and exclusive as you want it to be, catering from 10 guests up to 200 guests! For the reception, a DJ and the sound system is provided to set the party mood, while bar tenders and servers will keep everything running smoothly. The dinner menu and wine list will be discussed with your private villa Chef who will make sure your guests couldn’t be be happier! 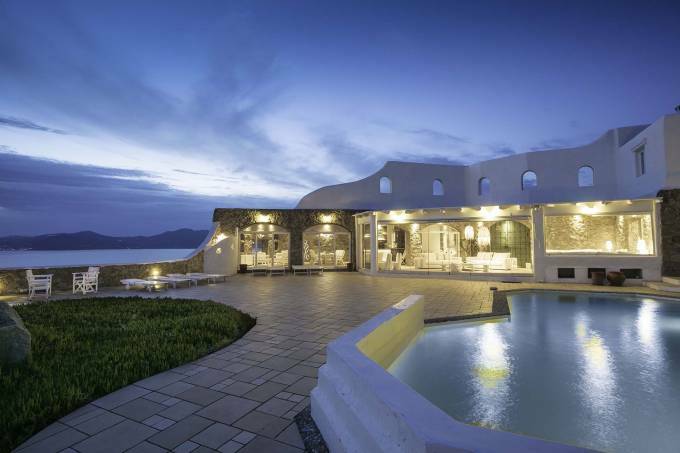 Who knew that a luxurious villa could be the ideal location for your wedding. The beauty of the island, the views, the beaches, the unique local character and our super services will all make it ideal to create picture-perfect memories that will last forever. 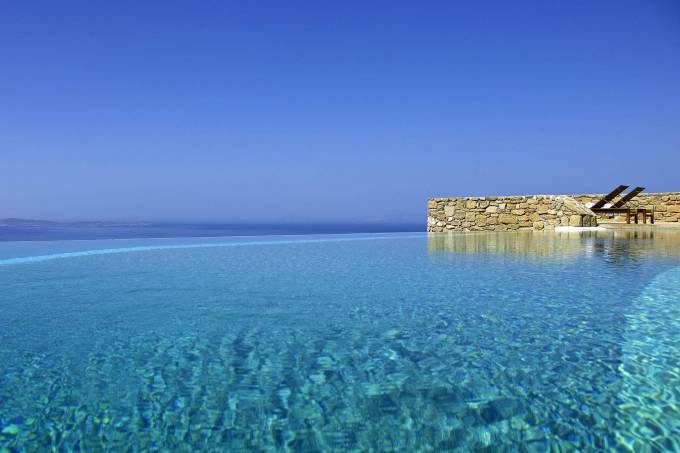 Let us be your ‘Something Blue’, while all you need to do is sit back and enjoy the wedding experience of a lifetime at a Mykonos luxury villa!